Eyelashes are the “lights’ that turn on the eyes. It’s that fringe of flutter that every woman loves to define as the finishing touch to any makeup application. False eyelashes give movie star looks on the cheap because they are so affordable in any makeup budget, and if removed carefully they are reusable. Eyelash enhancement has always been a major beauty focus, from models and celebrities to those who have lost their lashes due to medical conditions. With all the recent technological advancements in lash amplifying products (lash growth serums, lash extensions, etc) coupled with the escalated advertising of mascara brand wars, falsh lashes are a fast and easy way to pump up length and volume. They can actually strengthen the natural eye shape, and the extra lash volume adds to the dark contrast and intensity in the overall eye makeup. 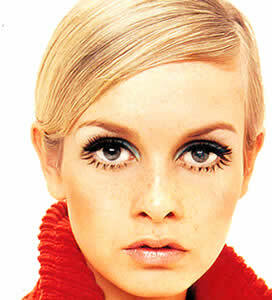 False eyelashes didn’t become all that popular outside of film and television use until the English model, Twiggy, made them famous as her trademark look in the mid-1960’s. Those early prototypes, however, were made of plastic and fashioned into fine bristle-like wisps. They were somewhat heavier looking when applied, and the glue available back then was not as strong in adhesion quality or long wearing as the eyelash glues on the market today. 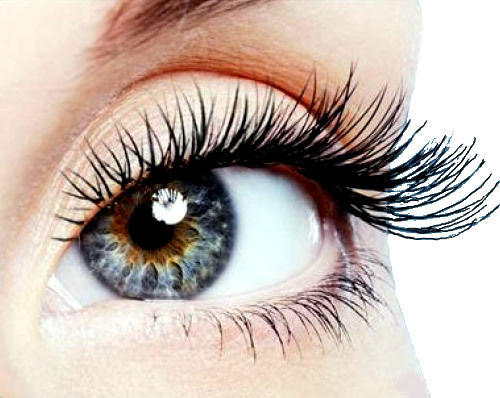 False lashes come in three types of hairs: human, animal, and synthetic fibers. They fall into 4 basic categories; strip, individuals (strands and flares), clumps, and extensions. You can choose from natural and virtually undetectable lash bands and individual hairs to fantasy looks that can include feathers and tiny adornments built in. Whether you apply a few singles for subtle volume, clumps on the outside corners for a sophisticated look, or full lashes for optimal drama the huge variety of styles and textures ensure there is a set of lashes to meet every possible beauty need. Depending on the look you want to achieve (natural, intense, “cat eye”, wide-eye Doe look, etc.) make sure the lashes you select are the right style, size, length, and intensity to your eye shape. This fit is very important so that you can blend the lash look into your overall eye makeup design without the lashes looking “overdone”. For instance, if you want natural “organic” looking volume then choose a lighter hair color with a shorter length, and light-weight with the right flexibility for your eye shape. Stay tuned for part 2 for eyelash application tips.